business process automation for auto parts trading companies. 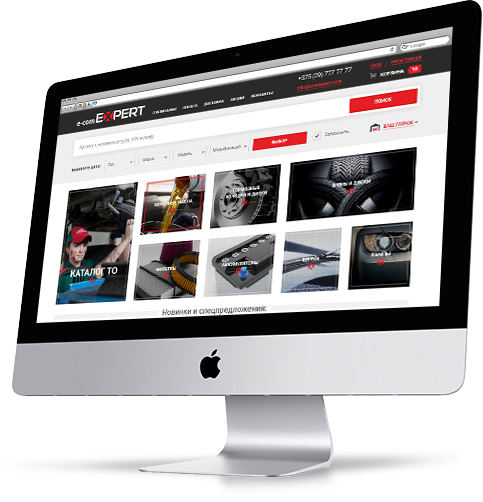 We present ready-to-use e-commerce solution, allowing effective trading of auto parts throughout the country. We automate sales processes, warehouse operation, logistics, management analytics, internal departments interaction and work with external suppliers. We develop a complex marketing strategy for an online store with further implementation. We work through the stages of development and growing based on the experience of market leaders and projects, successfully implemented by our team. We integrate with TecDoc, trading and original catalogs, cross-bases, CRM, payment methods and courier systems and other services and tools. Our team implement the e-commerce solutions of highest complexity, online stores and tools for successful online auto parts trading. We automate business processes for different departments, help with a phased development plan composition based on our successfully implemented projects and implement it together with the customer.